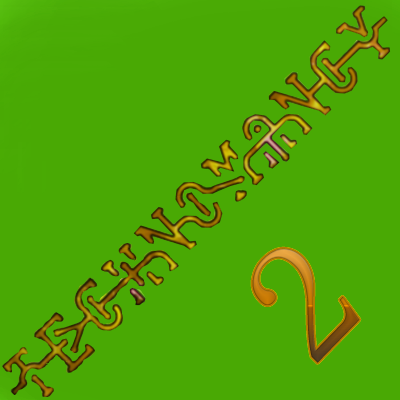 Why is it called Technomancy 2? It's because there's a new maintainer, who intends to revamp the entire mod once the bugs are flattened out, and make it even better! Technomancy, as much as you can guess from the name, is based around combining magic and technology in a (hopefully) fun way. A lot of blocks will be added based around the RF power system and using it to perform advanced magical shenanigins. The mod supports Blood Magic, Botania and soon Astral Sorcery with dynamos to power your base in unique strange different ways. More mod support and features will be added soon, with the awaiting of thaumcraft astral support is on it's way! Please fix whatever it is that causes your mod to register approximately half of its items on every single creative tab. 1. Lack of documentation: Looking at the creative inventory, not a lot of blocks are explained very well or at all. A simple tooltip should suffice in most of these cases beyond their actual state. 2. Hippie Dynamo: This block doesn't seem to work and is redundant. The block accepts mana when supplied with a redstone signal, but it very much lacks a GUI or an animation to show it is working. One can deduce the block is functioning based on it accepting mana, but the block still doesn't send any power. Botania adds the fluxfield block which converts mana into forge energy when the mana of a mana spreader hits it. 3. Blood fabricators. When pulling the liquid out of it to the point where the liquid is at the lowest possible level in the eternal tank(I love the model and textures BTW), a lot of lag is created. This may or may not be caused by rendering as it doesn't happen when I disable the pipe. Having looked at the flaws, I now would like to make some suggestions of my own. These will be ordered A-Z to avoid confusion when responding. A. Direct mana to blood conversion and vice versa. I find it to be a bit weird using a tech power system as an intermediary. They are both magic mods, after all. The more direct method of using Hymn of syphoning + Serenade of the nether doesn't work very well. Mass producing lava is a very large drain on LP using even the most upgraded altar having blood in it's buffer at all times and the Transcendent blood orb(there are way better ways of getting lava anyway). Even then, thermalilies do have a cooldown, limiting the amount of LP you can transfer to mana. B. Astral sorcery: Starlight doesn't work the same way as a power system as other mods do. It is more of a passive system. Adding in a crystal to send starlight when powered by a type of magic wouldn't do much for this reason(With a few crystals, any device can be powered with it). Adding in a way to synthesize liquid starlight makes more sense, especially when the only way to automate perfectly is to use a player simulator of some kind(Opencomputers/Computercraft turtles, autonomous activators and the mechanical user comes to mind). C: Psi mod casting devices and tricks: I am not sure if this is possible, but it does make a lot of sense. Could we see dynamos powered by Ember from Embers and Starlight from Astral Sorcery? Thank you! I feel like there's so much more to be added to the mod and how it can be made better but sadly i have to prioritize fixing bugs first to make it even more playable! But i have tons of ideas and will be working with a friend and him implementing ideas as well soon! Yup! If you read the description you'd see that i was already planning it!